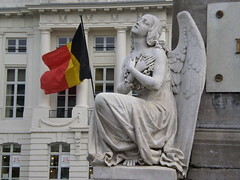 At a recent conference co-hosted by the Belgian Government and the European Commission, representatives of Belgian tax authority explained several beneficial aspects of the Belgian tax system and the country’s propensity for accommodating innovative and environmentally conscious companies. Delegates at the conference were told that the Belgian tax system is especially beneficial to expatriate workers, with multinational employees being exempt from income taxes on days when they are not in Belgium. International research and technology firms operating within Belgium will also be able to receive discounts on sales taxes for products developed by them and covered by patents registered in the country. Multinational companies registered in Belgium are also eligible for corporate income tax deductions based on the amount of equity capital they carry throughout the financial year. According to Paul Op de Beeck, tax partner at KPMG Belgium, this measure alone can reduce the effective annual corporate income tax rate to 25 percent for a typical firm, or even lower for firms with low returns on investments. In an effort to attract even greater numbers of large companies to establish operations in Belgium, federal authorities are also authorized to negotiate tailored tax packages with large firms, offering subsidies for infrastructure projects and employee training programs. Cumulatively, a foreign company establishing a presence in Belgium would be eligible for tax allowances equal to 50 percent of its equity capital, in its first year of operation, if it chooses to take all commonly offered tax benefits. While the tax benefits are offered throughout all of Belgium, the Government is currently concentrating on attracting investors to the southern region of Wallonia. According to figures released by Belgian Ministry of Finance, the region of Wallonia experienced approximately EUR 489 million in foreign investment in 2009, and EUR 536 million in 2008. The Ministry projects that its international push for greater numbers of investors and the global economic recovery will cause even higher investment levels in the near-term. Google recently opted to establish a major base of operations in Belgium, citing the country’s tax system and availability of green-technology as the major reasons for the decision. The international companies Skechers, GlaxoSmithKline and Janssen Pharmaceutica, have revealed that they will all soon be establishing operations in southern Belgium, after having investigated other major European investment areas.